White each person has their own favorite superhero, one of the most popular if not the most popular superhero is Batman. I never really gave it much thought but I suppose he would be my favorite as well. However, I can’t say I have the dedication that some fans do as I don’t have any part of my body turned into a Batman comic. 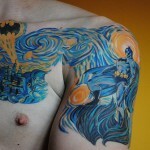 In the past, I have featured some very impressive Batman tattoos including one inspired by The Dark Knight movie, one that is a mash-up of Batman and Van Gogh’s Starry Night painting and one with a Joker that just creeps me out. 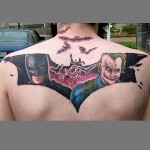 However, I think I may have found my all time favorite Batman tattoo in the one below. 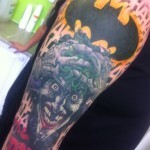 This spectacular Batman tattoo which predominantly features the Joker was inked by Southern California tattoo artist Cecil Porter. 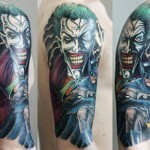 It seems quiet obvious he is one of the most talented tattoo artists whose work I have featured and when it comes to Batman tattoos, I would say he might just be the king. 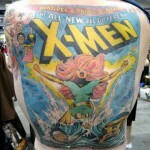 If you are in SoCal and are looking for a tattoo, I’d say this guy is the obvious person to go to! 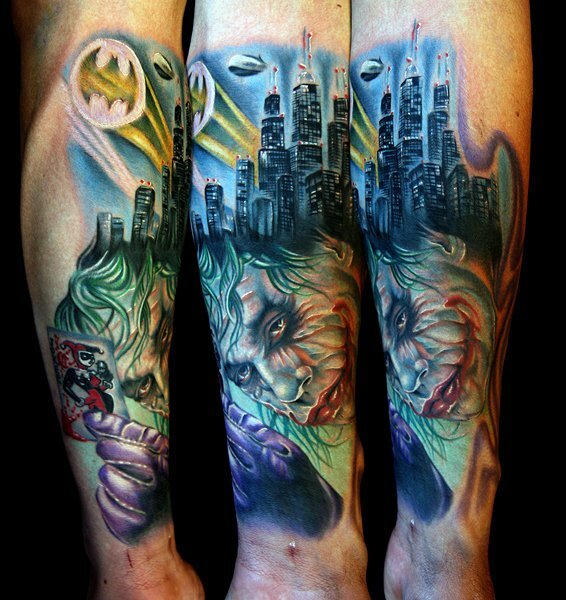 Share this with any Batman and Joker fans you know! Like us on Facebook too!